Automated retail solutions for every business. 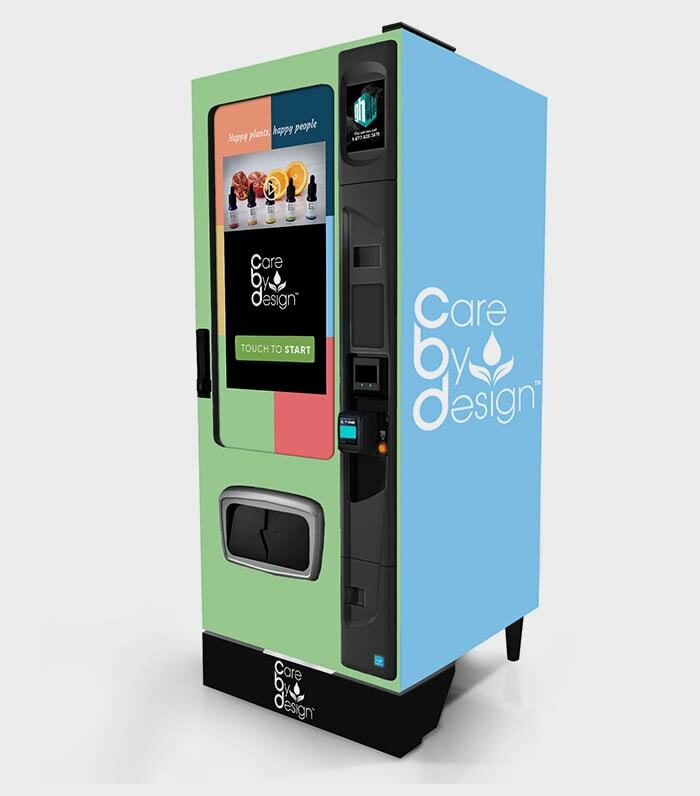 Offering the only compliant automated retail system in the cannabis industry, where customer solutions meet versatile business solutions through kiosks, lockers, and payments systems. There’s something for everyone with the Grasshopper® Automated Retail Suite. Customers gravitate toward fun ways to shop for cannabis and would rather skip the line while picking up orders. 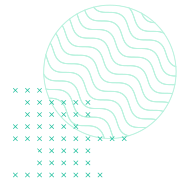 Dispensary owners benefit from shorter transaction times (3 minutes), monitor product quality and inventory, enhance profit margins, and ensure compliance all at once (while keeping budtenders’ jobs more interesting). Distribution companies leverage Grasshopper’s efficiencies across their entire footprint. 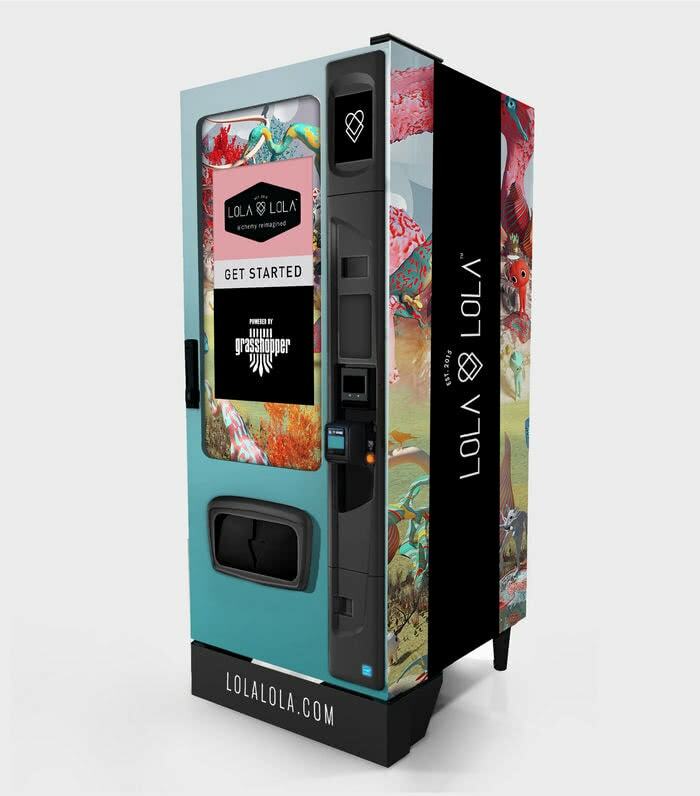 And cannabis brands have new opportunities to market and sell – by wrapping a machine in branded graphics, and marketing and selling products through our kiosks. 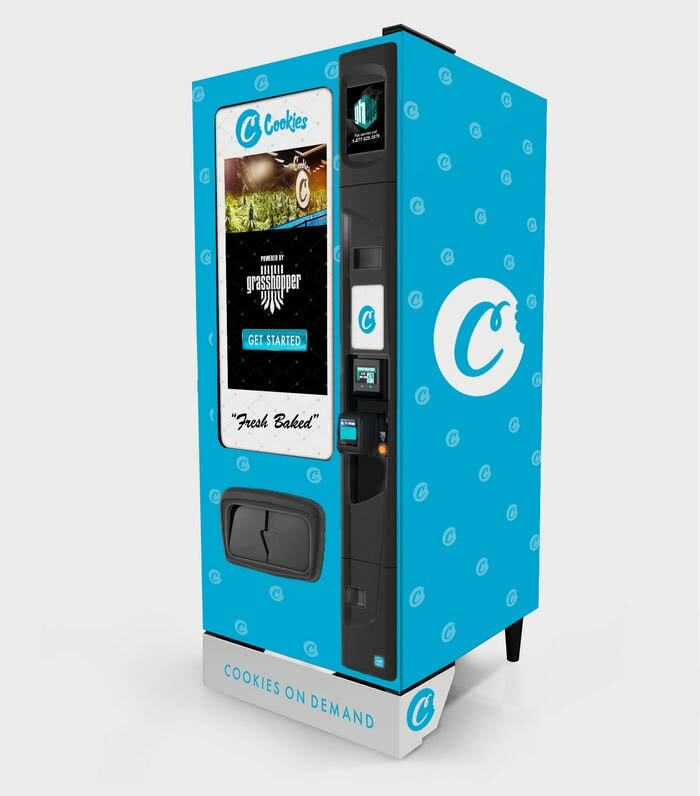 With varying capacity for up to 36 or 60 unique SKU’s, refrigerated climate control and additional options for customized brand wraps, the Grasshopper Kiosk boosts your ability to serve customers. Designed as an integral part of Grasshopper’s Automated Retail Solutions Suite, lockers are in-demand by customers that prefer to order ahead and have product ready for quick and easy pick-up. 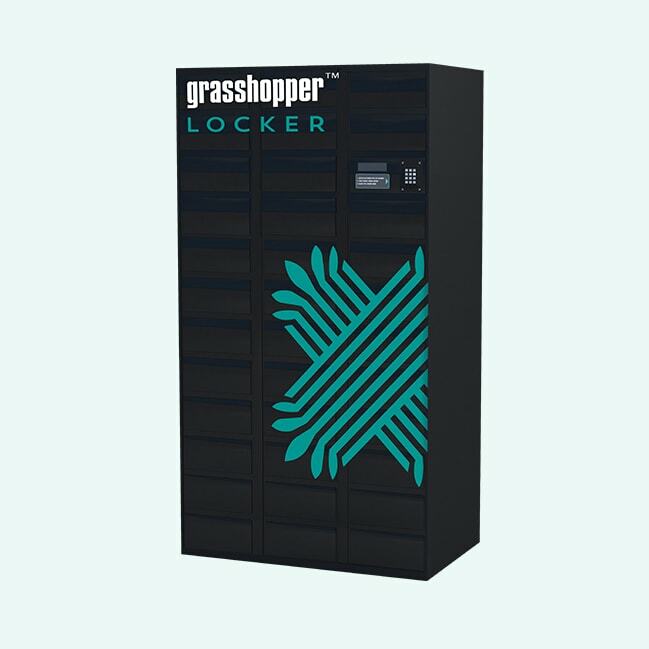 Grasshopper’s automated Locker technologies offer dispensaries, delivery companies and distributors secure storage while improving transaction volume, revenue, brand distinction, and margins. Diversify your payment options for customers with the Grasshopper Pay. 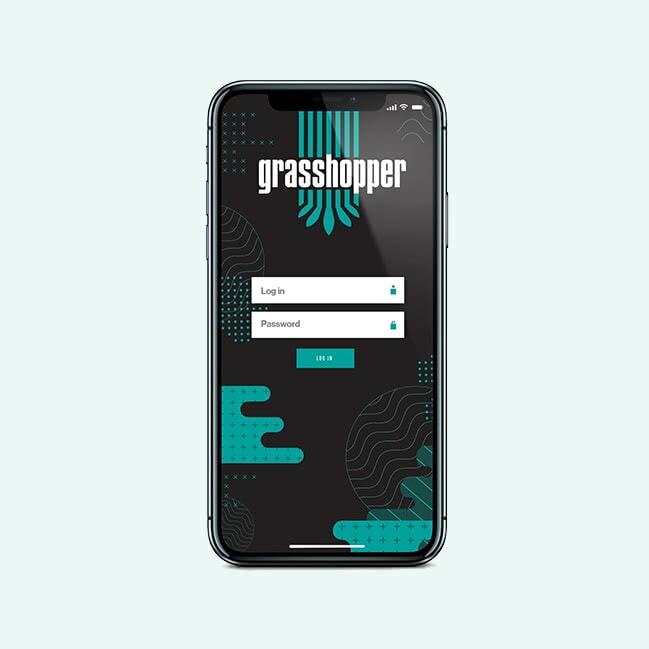 Customers can shop, order and pay, then pick up products at Grasshopper Kiosks, counter OR pay for items ordered on Mobile App to be picked up at locker, credit/debit only. Also an ATM, bill payment or bitcoin kiosk. Shop and order products via in-store tablet, show ID and pay through a live attendant. 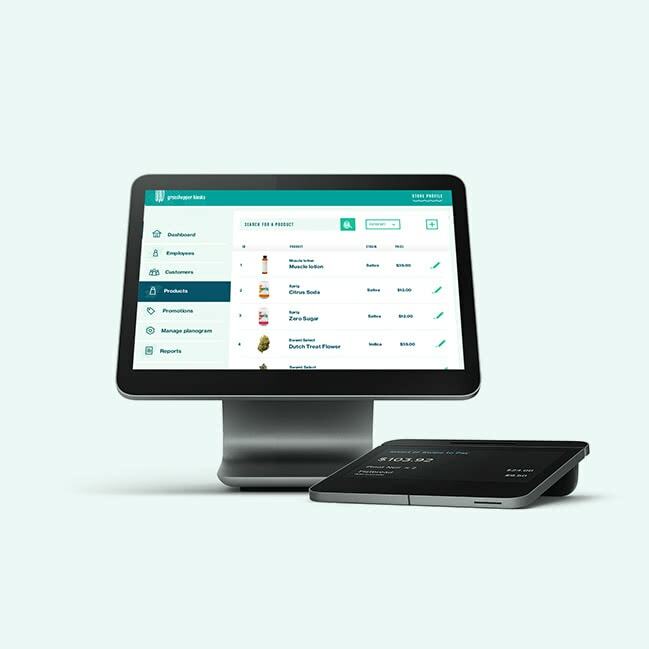 With the Grasshopper Tablet customers can order select products to be dispensed from a Grasshopper kiosk OR you can order from the dispensaries whole inventory and pick up at the counter. 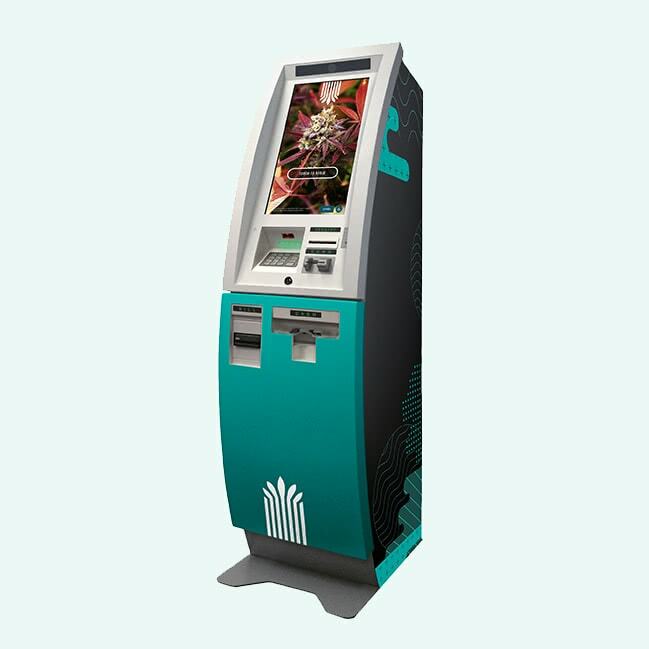 Login, search for Grasshopper locations, place order for locker, pay through app (where payment is legal) OR go to store and pay at self-service kiosk OR payment kiosk. With features like marketing, loyalty programs, KYC, geo-location, payment and menu integration, and analytics, the mobile app is tailored for customers and businesses. Mix and Match Grasshopper kiosks, lockers, and digital products to fit your business and customers. 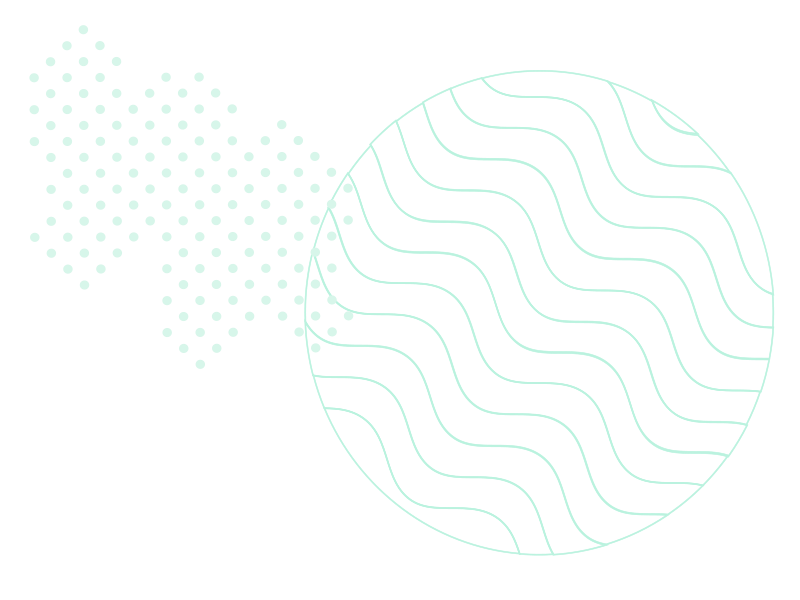 If you want your brand to stand out, you need to be forward thinking — not only to capture new customers, but also to keep your current ones. 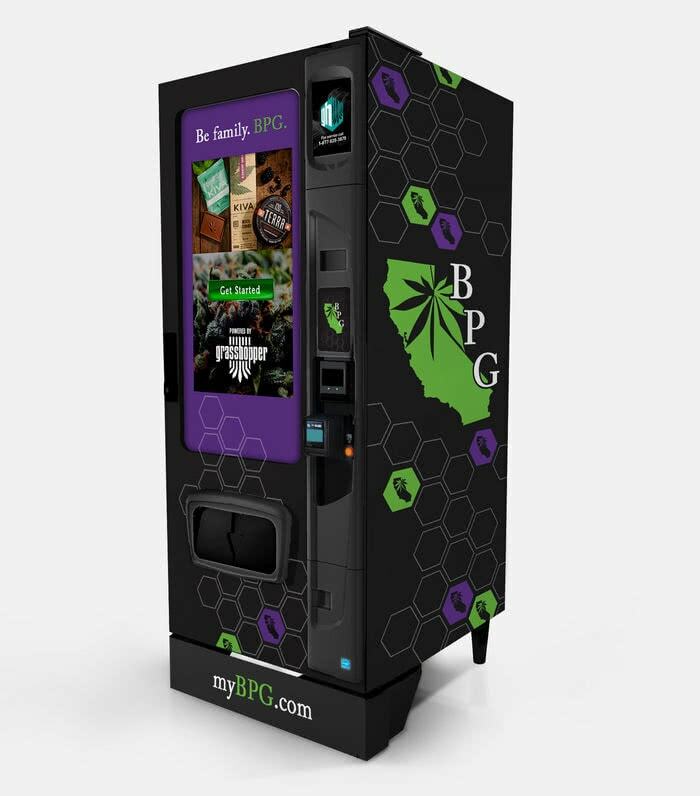 With Grasshopper branded kiosks, put your name, graphics, and products right in front of cannabis customers. Explore how automated retail suites can change your dispensary. 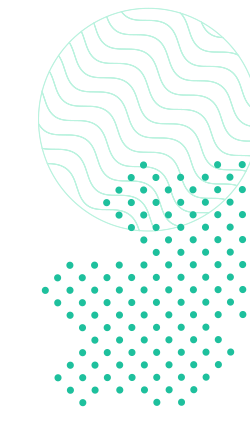 Having the shortest lines, the freshest product, and happy workers seems like the right way to run a dispensary. 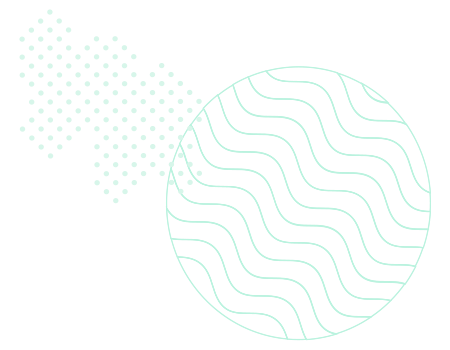 With the only ADA-approved automated kiosks on the market, Grasshopper is pioneering the cannabis industry with efficient and fully-customizable merchandising solutions. Our versatile suite of products include automated self-serve kiosks with gorgeous interactive displays, lockers, product loading wall-mounts, attendant-enabled tablets, and software that integrates with major POS systems. Combine to suit your dispensary’s design and vibe. 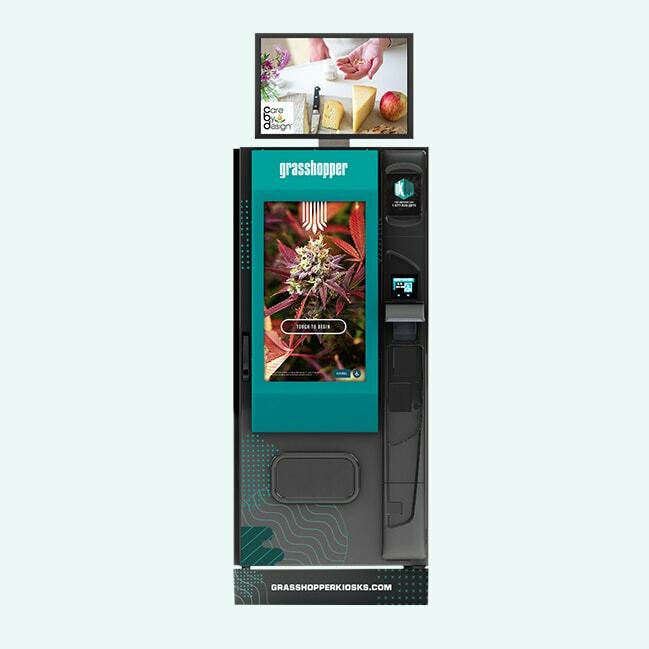 Grasshopper Kiosks is exploding into the cannabis industry with top publications and journalists excited about what’s next in automated self-service, retail merchandising, and customer experience. Contact us today for more information. See The Difference Custom retail solutions. Quicker sales. Better customer experience. © Grasshopper Kiosks, LLC. 2018. All rights reserved.